The need to fundamentally improve the labor provisions of the North American Free Trade Agreement took on a new urgency over the weekend, as a group of armed civilians, calling themselves the “Tonalapa Community Police,” (Policía Comunitaria de Tonalapa) attacked striking workers, killing two, at the Media Luna mine in Guerrero, Mexico. The murders occurred just five hours south of Mexico City, where representatives from the United States, Canada and Mexico are in the midst of their fifth round of talks about rewriting NAFTA. The aggressors, meanwhile, were released after being briefly detained by an army squadron. 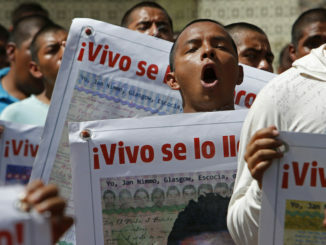 The striking workers, who want to be represented by the National Union of Mine, Metal and Steelworkers (Los Mineros) and are demanding the removal of the employer-dominated “labor” federation CTM (Confederación de Trabajadores de México), identified local CTM leaders as among those responsible for the attack. The practice of false unions siding with the employer over workers is a common feature of Mexico’s failed labor relations model. Employer-dominated “labor” federations are antithetical to the idea of democratic worker-led unions whose goal is to help workers build better lives. 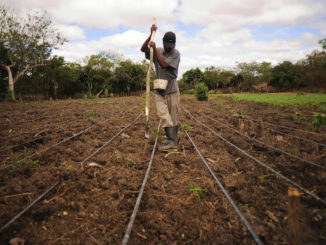 The strike, which has been joined by residents of nearby communities of Cocula, Eduardo Neri and Tepecoacuilco, began in response to longstanding demands over pay, safety equipment and decent food. The workers and local residents maintain that the mine has broken a string of promises to its employees and the communities. The Mexican mining company, Media Luna, is owned by a Canadian global corporation, Torex Gold Resources. Workers — no matter what country they live in — must have the freedom to join and act together to improve their wages and conditions of work. Armed attacks intimidate workers, keeping families in fear as they keep wages down and workplaces less safe. 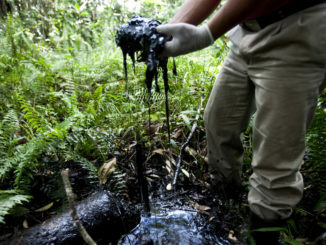 Such attacks, which are common in Guatemala, Colombia and other U.S. trading partners, are one hallmark of a repressive labor system. These attacks should not be tolerated by responsible employers, the Mexican government or the U.S. government. This deplorable use of violence against a community standing up for itself is inconsistent with any notion of a “level playing field” or “free” or “fair” trade. How can trade be free if people aren’t? This incident is a prime example of why working people across North America are united in demanding new, effective labor rules in NAFTA that will ensure that all three governments effectively uphold high labor standards and show zero tolerance for violence and intimidation. 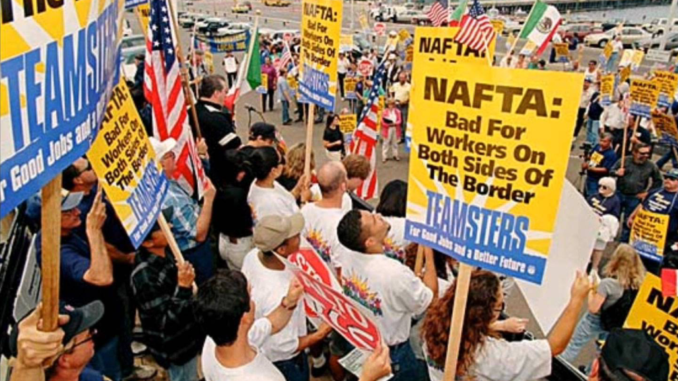 Learn more about the improvements needed to the NAFTA labor chapter here. Get involved by asking your member of Congress to speak up about labor abuses in Mexico and how NAFTA must address them. Celeste Drake is a?Trade and Globalization Policy Specialist.